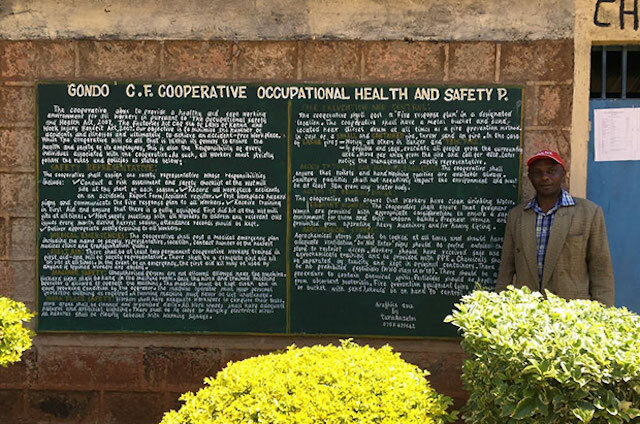 It’s hard to miss the safety and labor management policies painted across entire brick walls at New Kiriti Farmers Cooperative Society in Murang’a County, Kenya. The cooperative’s management works to ensure these policies are put into action day in and day out to increase operational efficiency and to improve conditions for workers. Cooperatives have an important role to play in reducing poverty and generating employment. By their nature cooperatives, owned and run by their members, are strongly invested in the communities they serve, making them an important partner in ensuring environmental and social responsibility. TechnoServe works with agricultural cooperatives like New Kirti around the world to harness this potential for positive change. In line with the United Nations’ theme for this year’s International Cooperative Day on July 2, we believe in the power of cooperatives to create a sustainable future. Just five years earlier, New Kiriti – a cooperative comprised of three wet-mills, more than 2,600 member farmers and 50 staff during peak production – did not have a strong culture around safety and workers’ rights. At the time, workers operated heavy machinery for long hours and were being paid below Kenya’s minimum wage. Clean drinking water was not provided and basic safety measures were not communicated to workers clearly. Requesting time off left workers’ jobs in jeopardy. 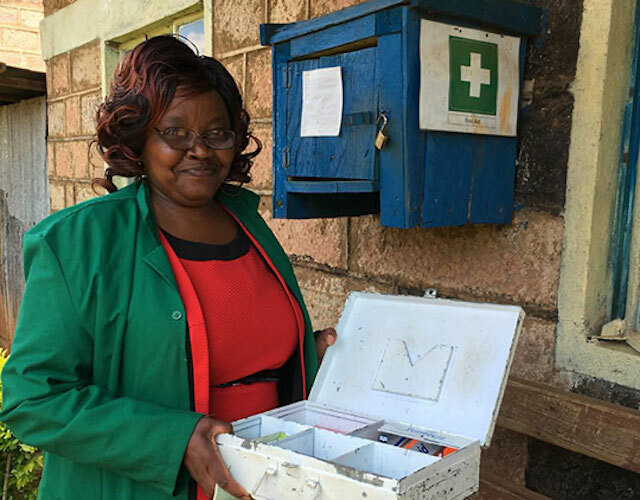 In 2010, New Kiriti started working with TechnoServe through the Coffee Initiative, an eight-year project funded by the Bill & Melinda Gates Foundation to help smallholder coffee farmers in East Africa increase their productivity and incomes. In addition to providing agronomy training and improving processing, the Coffee Initiative worked with 340 cooperative wet mills to improve their management and help them follow best practices in environmental and social responsibility. Esther Kuruga works at New Kiriti recording farm inputs issued to members. She also volunteers as the resident first aider, treating her co-workers' minor injuries. Through the trainings, New Kiriti management learned specific practices to improve safety at their three wet mills. For example, business advisors trained wet mill managers on how to conduct a risk assessment, an evaluation of potential hazards. Today, wet mill manager Peter Njeru conducts a risk assessment every six months and provides updates to workers during weekly meetings. In a recent assessment he realized that the ground sloping towards the coffee drying stations was slippery from the heavy rains. As a result, he printed and posted a sign with the words “Slippery ground be careful.” Other signs around the wet mill include, “Use ear protection” posted over heavy machinery. Such notices have been essential in creating an accident-free workplace. "When we are at work, we work as one team. We are here for one another." New Kiriti also received training through the Coffee Initiative on labor management to improve worker conditions. Business advisors encouraged management to pay workers according to government minimum wage policies, and today they have exceeded that rate by paying their workers 250 Kenyan shillings a day. In addition, New Kiriti grants each worker 30 days of unpaid leave a year as well as maternity and paternity leave. When workers exceed their expected hours of work, they receive overtime pay. “We used to have to borrow money to pay salaries from the banks. Now we pay workers on time and we have the money from our own production,” said Stephen.